The growth of the French market attracts on the show new players and e-learning experts, who will be sharing best practices. iLearning Forum will also host for the first time e-learning laboratory and a start-up village. 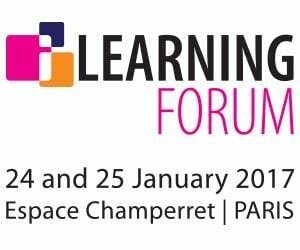 iLearning Forum Paris, the n°1 event in France dedicated to the technologies of individual and organizational learning, will be held on Tuesday 24 and Wednesday, January 25, 2017 at Espace Champerret, Hall A. This new edition provides to gather more 5000 e-learning professionals, training, human resources and talent management worldwide, on the most dynamic the e-learning market in Europe. The show is designed as a place of exchange between the worlds of training, education and digital, converging towards an ever more innovative practical learning. 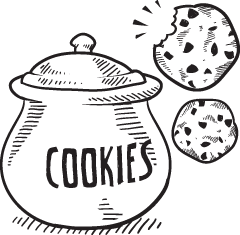 What’s new with conference ? The great novelty of this edition will be the "e-learning laboratory" in Conference Room 3, During the two days of the show this new event hall will be devoted to practical demonstrations, organized by themes, to allow everyone to find a concrete response to their needs. In the conference room 1, these two days of exchange will be opened by a round table on "The digital transformation of the HR function," which will be the theme of the event. Will follow thematic workshops and case studies of e-learning in the enterprise. Finally, in Conference Room 2 will be highlighted special lectures on language learning, education, training and MOOCs, with an highlight on an international conference with international renowned speakers. Training activities are asserting themselves more and more as a privileged space of the digital pollination in the company. They are also an important factor in creating a common identity for all companies that need to manage the dispersal of their sites at national and international level. The programs offered in the 3 rooms will provide visitors with the knowledge to carry out their e-learning projects. What’s new with the expo ? iLearning Forum visitors are invited to meet on an enlarged exhibition area to find technological tools adapted to the service of training, find case studies from many countries, and attend demonstrations and technical tests. Major novelty, the fair will host an exhibition area "Start-up Village" for the many young very small companies present on the French market of e-learning. They will find an unprecedented visibility platform, and will present, among others, their innovations in serious games, virtual reality or virtual classrooms. Note the presence of major sponsors such as : e-doceo, Cornerstone OnDemand, MOS MindOnSite, FuturSkill, 360Learning, Onlineformapro, Articulate, Demos, Speexx, LearnPerfect, ITycom, Strass E-Learning, Altissia, MeetingOne and Game Learn. The adoption of e-learning in France is catching up with the level of other European countries, the French market is undergoing remarkable growth, estimated at 14% in 2015. This growth is supported by the ability of training technology players to provide tools for creating educational content and learning platforms (LMS - learning Management System) more and more user friendly and accessible. The deployment on smartphones and tablets is now widespread, enabling companies and training organizations to adapt to the habits of learners and to maximize the training experience. The virtual reality also develops and solutions are already marketed and will be presented at the show. Several foreign companies will exhibit or visit to better address the French market and devote significant resources, allowing a fertile exchange of experiences and practices.